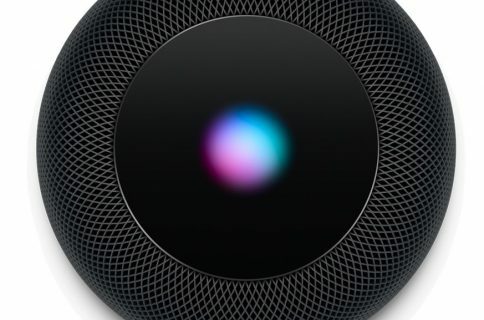 Once again, Apple has tweaked its digital personal assistant Siri to give the “right” answers when asked about a competitor’s product. 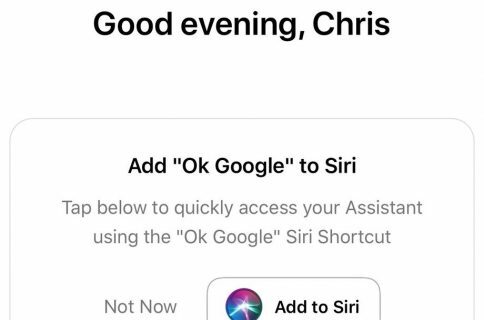 This time around, Apple has re-calibrated her to give amusing responses to the “Okay Glass” prompt Google Glass owners use to issue commands to their Android-driven eyewear. Siri’s take on Google Glass is said to be even richer in iOS 7 Beta. Check out Jeff’s video overview below. As opposed to wearing a head-mounted accessory, Apple is believed to be working on a wearable accessory that strips on your wrist. Apple’s chief executive Tim Cook, who wears a Nike FuelBand health tracking accessory, recently opined that Google Glass lacks a mass-market appeal. “There are some positives in the product. It’s probably likely to appeal to certain vertical markets,” Cook said during his segment at D11 . “The likelihood that it has broad appeals is hard to see”. He also dropped vague hints that Apple may be interested in wearable accessories. “I think wearables is incredibly interesting,” he added. “It could be a profound area”. 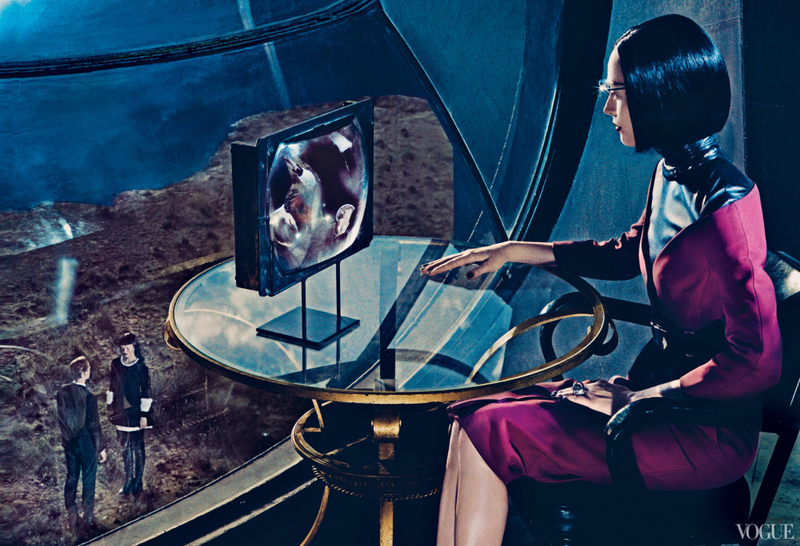 On a somewhat related note, fashion magazine Vogue in its September issue has run a 12-page spread dedicated to Google Glass, featuring retro-looking illustrations of fashion models wearing the accessory, sleek hair and minimalist designs. The New York Times has the full story, here are the images. 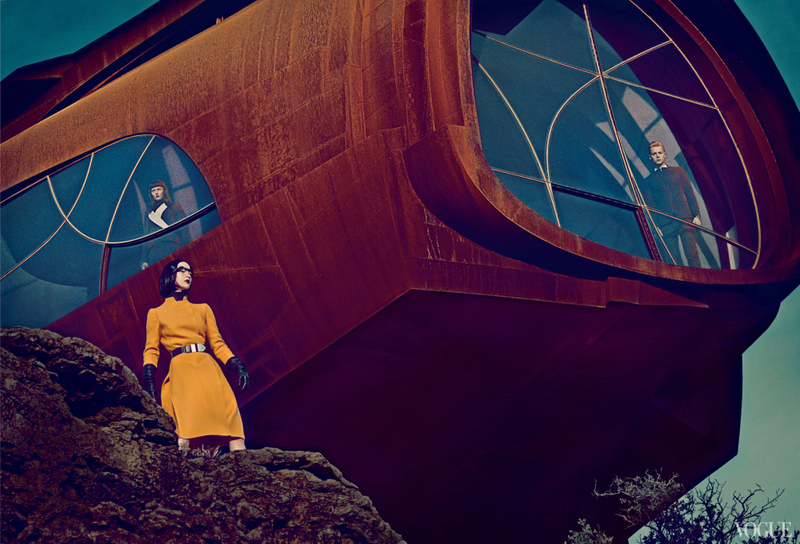 I love how they used a rusted steel house in Texas to resemble an alien spaceship. 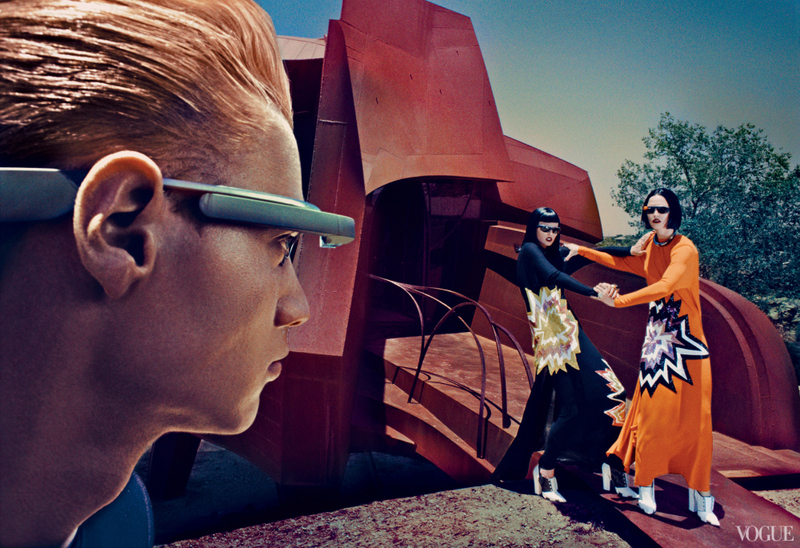 This should hopefully make Glass more fashionable ahead of its 2014 launch. In the meantime, Apple has been ramping up iWatch-related hiring. Just recently, for example, the firm hired former fashion label CEO Paul Deneve and former Adobe CTO Kevin Lynch. Both men are now tasked with “special projects” at Apple and are reporting directly to Tim Cook. 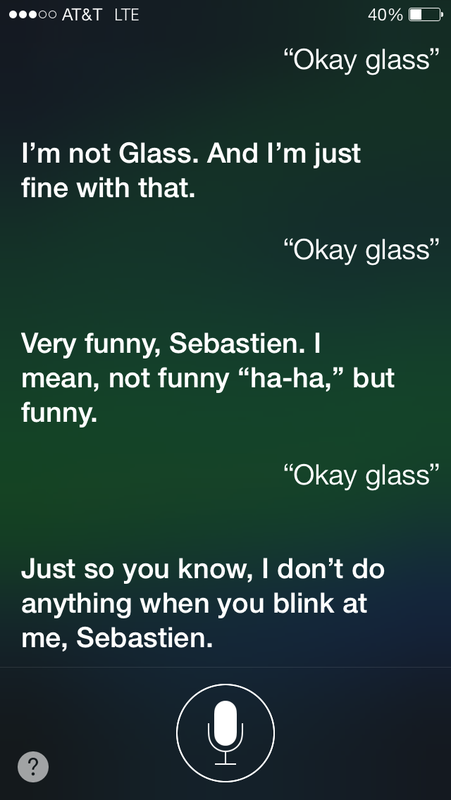 What do you think about Siri’s responses to Glass? Are they entertaining or has Apple crossed the line?